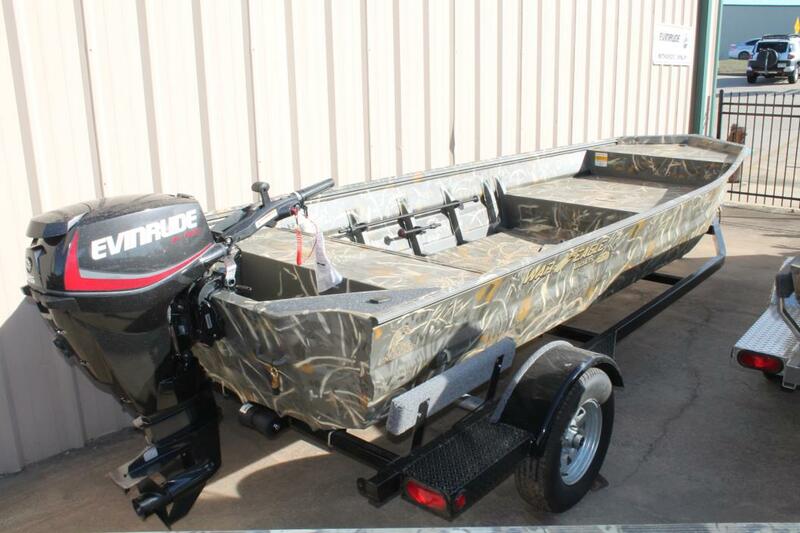 2017 War Eagle 648 LDV, 2017 War Eagle 648 LDV includes Max 4 camo, treadplate flooring, navigation lights, 21' transom. 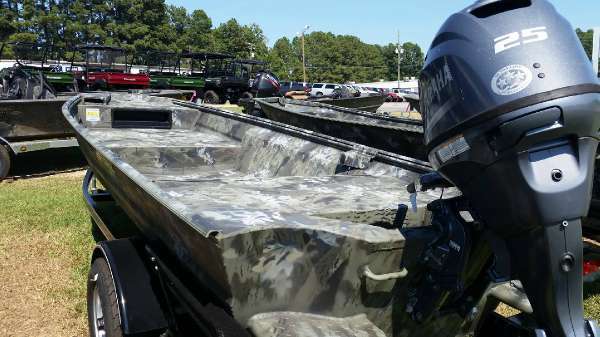 2017 War Eagle 648LDV, 2017 War Eagle 648LDV includes Nat Gear camo, pod seating, treadplate floor, navigation lights, 21' transom. 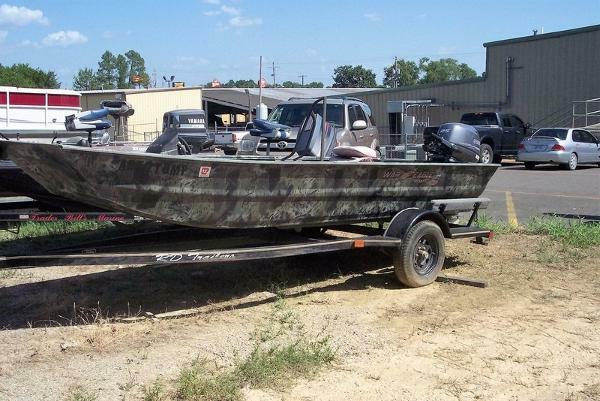 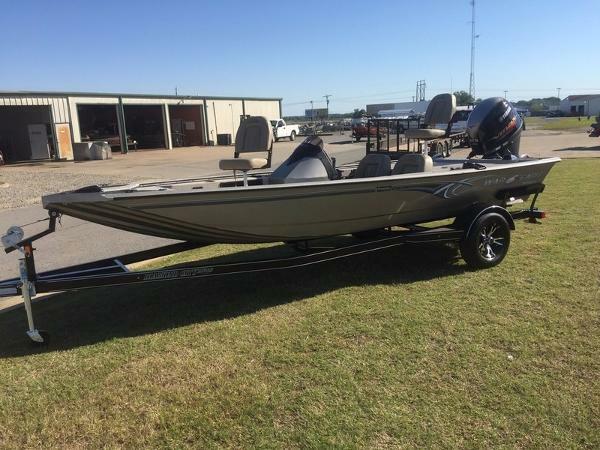 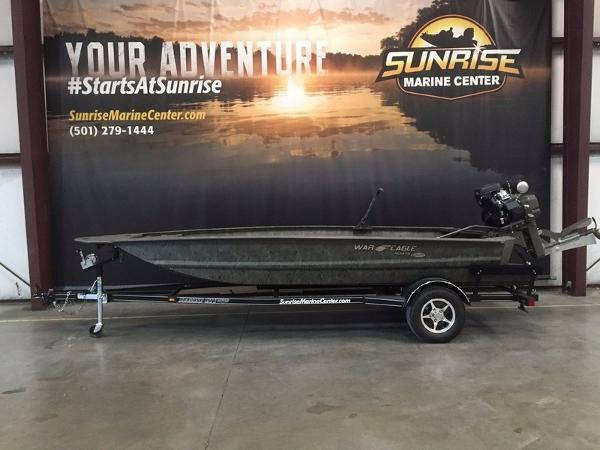 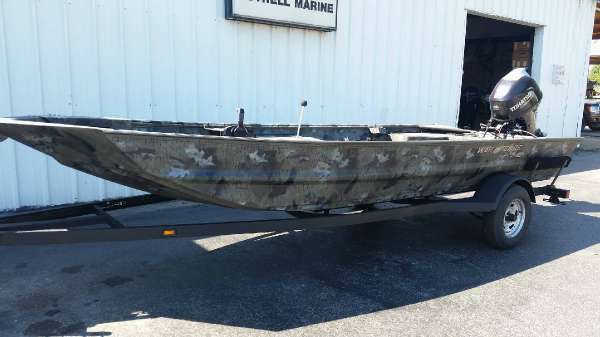 2014 War Eagle Sportsman 648LDV, Very nice 2014 War Eagle 648 LDV includes Evinrude 40HP ETEC with power tilt/trim, engine BEST warranty good through 03/05/2020, Diamond City Trailer, 55# Motorguide foot control trolling motor, cranking battery and trolling battery, 1 bike seat & pole, 1 fold down fishing seat, CMC jackplate, stainless steel prop, drink & shell tray, Nat Gear Camo, running lights, Lowrance Elite 5 HDI graph, 6 gallon gas tank, and treadplate floor. 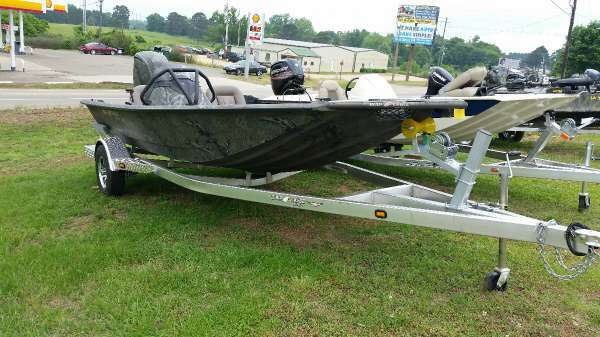 2013 War Eagle 542FD 2013 War Eagle 542FD New F25 motor, boat and trailer Understanding the needs of sportsman is what War Eagle does best. 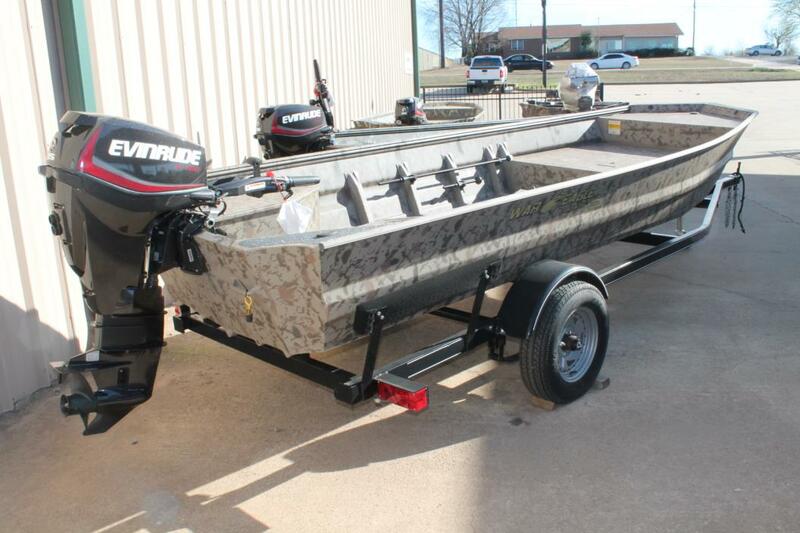 Built with strength and durability, the 542 model is our best seller. 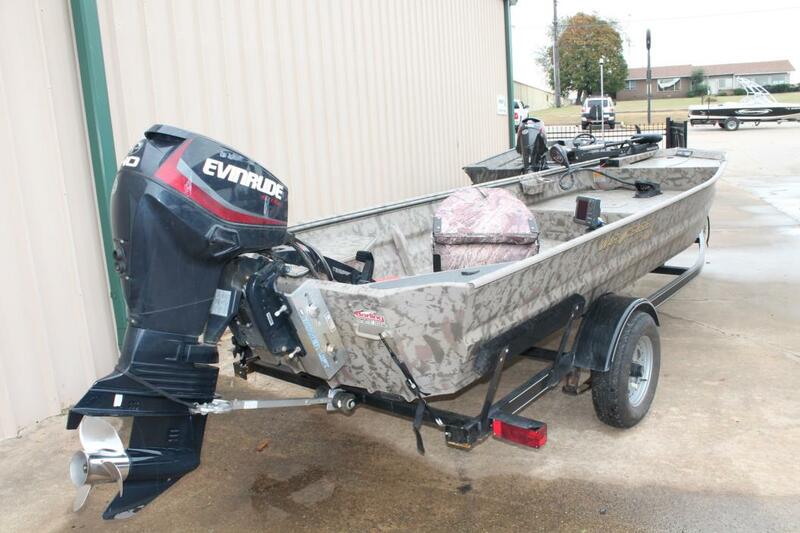 It combines all the quality you've come to expect from War Eagle with a great price. 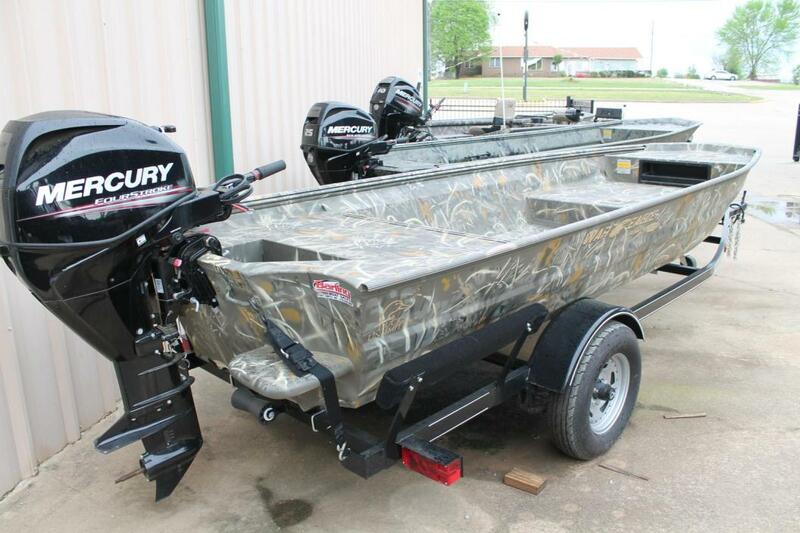 Works great when fishing ponds, small lakes, or narrow rivers. 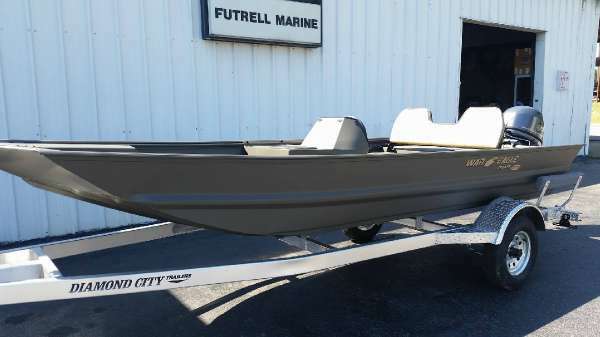 542 will also help you find your perfect hunting spot with plenty of room for equipment or a passenger.542 is available with a flat bottom or a V-hull.All welded aluminum gauge 0.080 construction.Several layout options are available to help build the boat that is right for your environment. 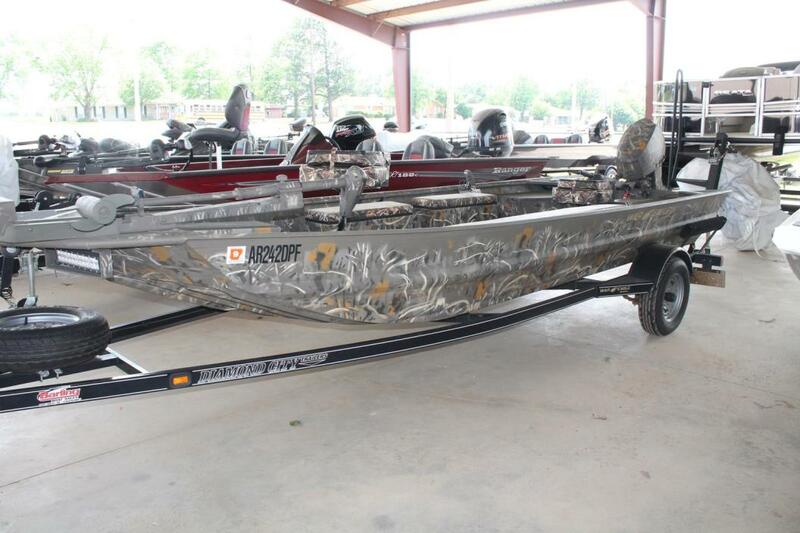 Flat Bottom model with a rear cross-seat and a high front casting deck with a base plate. 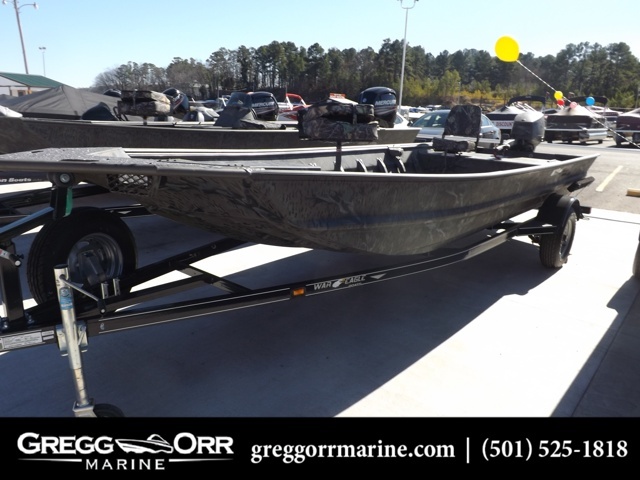 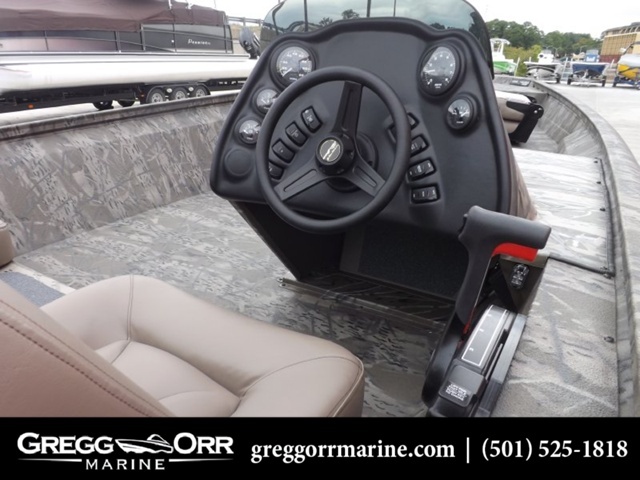 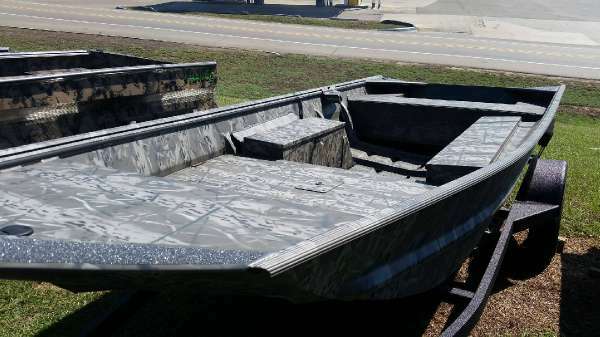 2015 War Eagle 544 Warhawk, New model from War Eagle includes Max 4 camo, rear seat storage, heavy duty transom, floored gas tank tray, sharper bow, t-lock caprail, bow storage tray, 6 degree v in hull, skinned floor and side panels, seat extrusion on rear deck, rear transom steps.